20 oz. 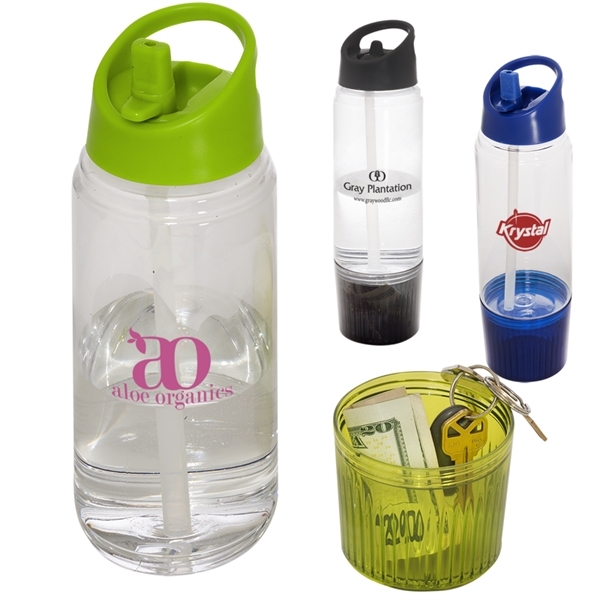 (600 mL) single wall AS plastic water bottle with detachable cup at base. Features PP Plastic screw-on lid with spout and PE plastic straw. Detachable AS Plastic cup unscrews from bottom of bottle. Bottle holds 14 oz. (420 mL) and bottom compartment / cup holds 6 oz. (180 mL). HItem dimensions: 10.62"h x 2.91"dia. This item requires a minimum quantity of 96.